Discounted Suites at The Signature. Save up to 40% at The Signature with Las Vegas Suites! We all want to be on The Strip but don't want to sell our clothes to afford it. Or maybe we do. 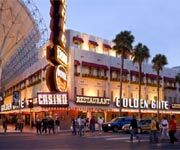 The Vegas Strip is the ultimate hot-spot loaded with restaurants, casinos, shows, and nightclubs. Everyone wants to be here but not everyone can afford to stay at the 5-star resorts that line the place. 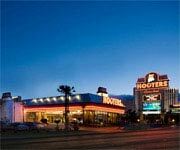 So, here are a few best value Vegas hotels that will keep you close to the action without breaking the bank. The Quad Las Vegas: This is one of the best value hotels in Vegas that gives guests everything the 5-star resorts do but at half the price. 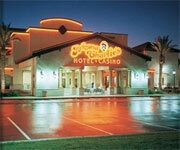 The Quad Las Vegas has a spa, pool, casino, bar, live entertainment, and access to two beautiful golf courses. It's just like staying in an expensive hotel but you're paying Cheapo prices. There is nothing "cheap" about this hotel on The Strip except the price. Flamingo Las Vegas: What's more Vegas than Pink Flamingos? You'll find real Chilean Flamingos at the Wildlife Preserve at The Flamingo Las Vegas! If that doesn't ruffle your feathers, maybe some hot-pink room decor will. You know you love it, we sure do. Waking up to the color of Pepto makes a stay in Vegas that much better. As one of the best value Vegas hotels on the Vegas Strip, The Flamingo doesn't disappoint. Any place with 99-cent margaritas must be classy! Well, we sure feel classy after a few of 'em! Even Richie-Rich likes to save a few bucks! When most people think Vegas, they think of the big Vegas Strip hotels like Bellagio, MGM Grand, and Caesers Palace. Unfortunately these ultra-luxury hotels aren't always in our budget. 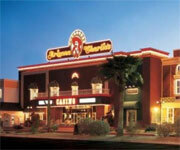 But if you keep an eye out, you can find great promo deals on some of the best value Vegas hotels. The Bellagio: The creme-de-la-creme of luxury Vegas hotels, The Bellagio is what dreams are made of. The spa and salon at Bellagio are enough to make you want to take up residence in Sin City. 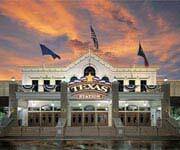 There are some incredible Bellagio promo deals out there that knock down prices so that a stay here is a great value. 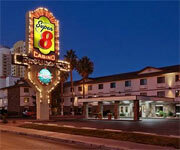 Get the most bang for your buck when you use our Cheapo Vegas promos for this AAA Five-Diamond Award Winning hotel! Caesars Palace: Known for the Grecian-inspired Neptune Pool, Caesars Palace Las Vegas keeps guests happy as one of the best value hotels Vegas. Don't worry, even if you're not a super high roller this decadent hotel is within reach with the help of promo code deals. If you look for them, you can often find promos for 20% off two-night stays or the occasional 40% off a Caesars Palace suite! We all want to have a good time and live it up Vegas style, and that's more than possible staying at the best value hotels Vegas has. Luckily for those of us on a budget (i.e. You and I), it doesn't have to cost an arm and a leg to have fun in Sin City. The best value hotels in Vegas have great amenities, pools, and entertainment at a fraction of the cost. 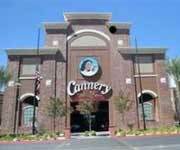 Check out Casino Boy's favorite cheap Las Vegas hotels below, and save as much as possible when you use the extensive inventory of Las Vegas coupons on Cheapo Vegas ... Seriously - don't EVER pay full price for a Vegas hotel again. That would be completely un-Cheapo of you. If you're like us and packing PB and J's for your upcoming Vegas trip, the best value hotels in Vegas are the right choice for you. They still have casinos, decent rooms, and pools to rock your banana hammock but you won't end up in debt for 12 years after a two night stay. You can also find amazing value on hotels that would originally be way out of your league when you use Las Vegas deals to book your stay. Even a swank hotel like Caesars Palace Las Vegas can be one of the best value hotels Vegas has to offer when you get a good deal on it. The Vegas Strip is an adult playground and if you're lucky you'll end up at a pajama party in someone else's room so why spend all your dough on a nice room just to leave it vacant? 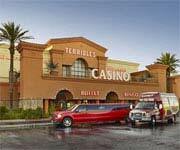 We prefer to go without a room and focus all our energy into making friends with nice rooms but if you want a little more security, check out the best value hotels Vegas. 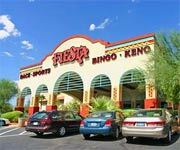 Whether you're looking for a Las Vegas hotel with super inexpensive rooms, or a luxury Las Vegas hotel for a value price, Cheapo Vegas is the place to find out about all the best value hotels in Las Vegas. 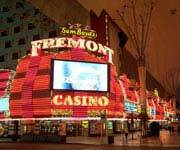 These best value hotels Las Vegas have everything visitors need to have a fun time in Sin City without breaking the bank. You may go home with a pocket full of receipts from last night's bar tab, but at least your check-out won't be too painful when you know you got the best possible value on your Las Vegas hotel rooms.